Other switches have several “on” options that are designed to handle varying amounts of voltage or current, which alters the output of the attached device, mechanism, appliance or piece of equipment. 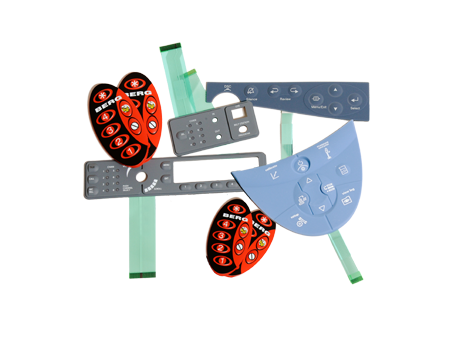 Waterproof switches have the same general components as standard switches: conductive material, a number of terminals and an actuator that are held in a case that protects the user from the electrical current and the device from outside interference or damage. Waterproof switches are enclosed in a watertight housing that is able to resist corrosion, salt, shock, vibrations and other potentially harmful forces. Though the name suggests marine applications, waterproof switches are used in many general settings where dust, dirt or splashing liquid may be a problem. Some of these devices are designed to perform under severe conditions and can withstand temperatures from -65°F to 220°F. Electronic switches are found in every device with the ability to power on or turn off. Devices that are used in tough or wet conditions are controlled with waterproof switches; examples include watercraft ignition and switch panels used in applications that get hosed down. There are many different kinds of electronic switches; two of the most common are single pole (SP) and double pole (DP). SP switches are very simple and are either on or off. DP switches have a pair of SP switches that move together as one unit. Another distinction is between single throw (ST) and double throw (DT) devices. Single throw switches have one moving actuator that connects with one terminal whereas double throw switches move between two terminals. DT switches are not typically able to turn off; they form circuits with two of the four possible terminals. The actuator is an important part of the switch; it determines the arrangement of other internal components. Electrical switch actuators include plungers, rockers, push buttons, dials or toggles; these actuators are used in many different arrangements. Connections and wiring are another important aspect. Waterproof switches are manufactured with all the internal components attached and hooked up so that the user does not need to risk damaging the watertight seal by opening up the case. Special cords, cables or wires are either included or available to ensure that the electrical components inside the switch are protected. Many waterproof switches are cast from stainless steel because of its corrosion-resistant properties and durability. Waterproof Switches A waterproof switch is a device that can interrupt the flow of a circuit while operating in a wet environment. Waterproof switches are frequently binary that either close or open the circuit; that is, they are either on or off.